Are we talking the old Navy Peir days ? 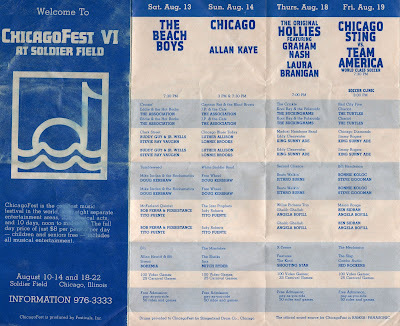 didn't see that one but saw lots of great acts at those great old fests.. 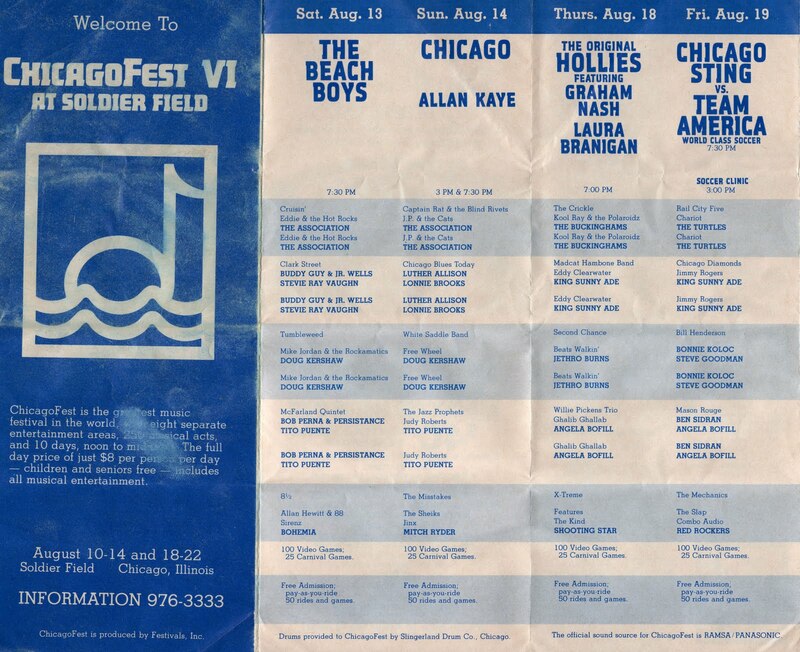 I really loved covering Chicagofest but didn't like it at all at Soldier's Field. I remember photographing Stevie Ray Vaughn there as well as Gary Puckett and remember trying to get a cab back downtown was like pulling teeth. William and Linda: I liked ChicagoFest much better when it was at Navy Pier, but I still found a lot to like at the Soldier Field version. As Linda noted, the transportation was more difficult. Wow, what a blast from the past. I never got to go but I do remember that logo!